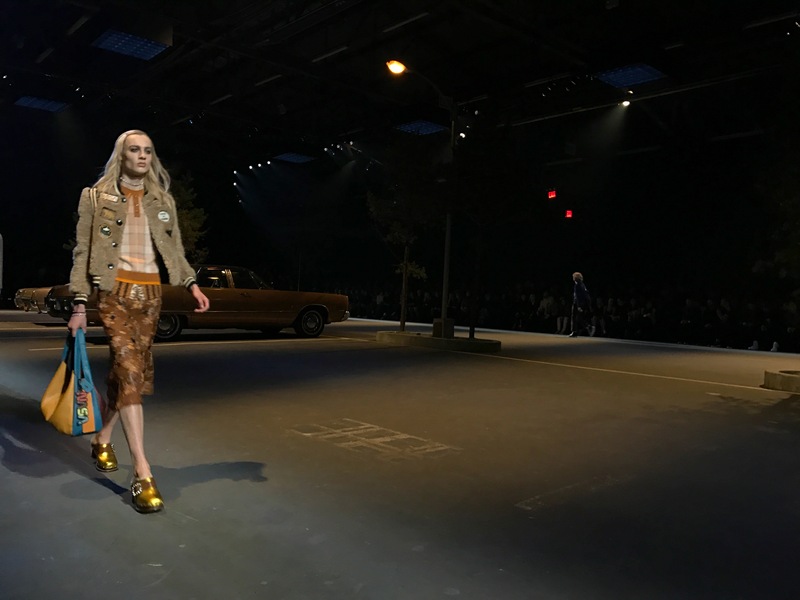 Sitting front row at Coach's 75th anniversary show, a fashion-forward version of That 70's Show mixed with Jurassic Park, had more perks than one. 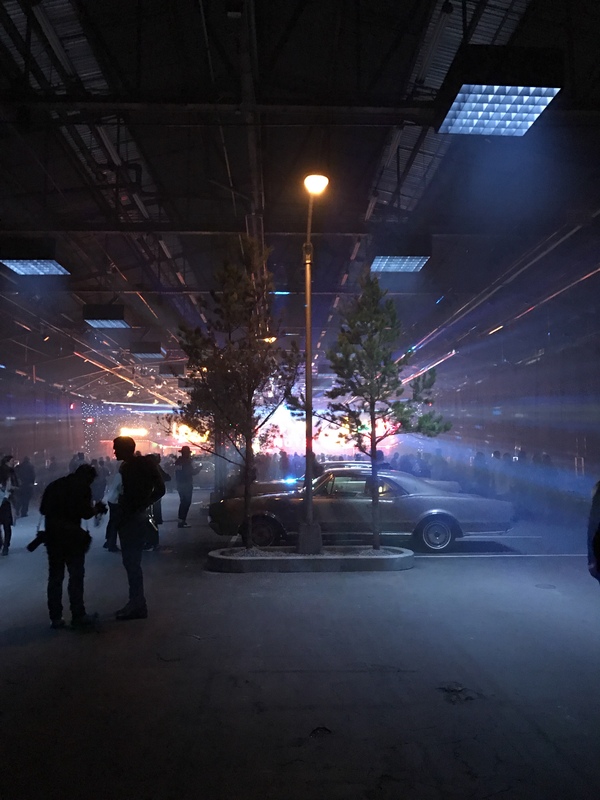 It was the end of 2016, and the beginning of winter in New York City, but inside the foggy parking lot set, an enchanting, warm nostalgia brewed. What year was it? Had I been here before? Was this the car lot in which my younger self tongue wrestled a dreamy Casanova in the back seat of a '76 Cadillac? Even the moon-like lighting was spot on. In summary, the decor was something you could feel, experience, something parallel to dreaming. But the déjà vu moment was ended by the bleach-blonde blogger to my left, playing loud SnapChat videos. Dim lights. Cue Xanadu's "Sure Shot." Action. Taxi cab yellows, coffee with cream browns, and Cutie tangerine oranges played off of the shimmer on a blouse or a pinky ring. The details, like bows, dinosaurs and NASA embellishments, stood out. Leather loafers had fur growing out of them like moss on a tree. Shoulder bags were slung across lanky bodies. There were plaid bellbottoms. Chestnut shearlings. Funky layers. Models: moist, rejuvenated, fresh-faced, luscious, appeared only be wearing eye shadow and lip balm. They swaggered, synchronized to the music. Forty-six of them made their way around the parking lot location, each one walking as funky, fly, foxy as the next, to real, feel-good, music, nostalgic and wonderful. Models exit, stage right. Darkness. Then, a semicircle of candles appeared. A choir gently cued a familiar song. "Empire State of Mind (Part II) Broken Down" aka "Neeew Yooork!" 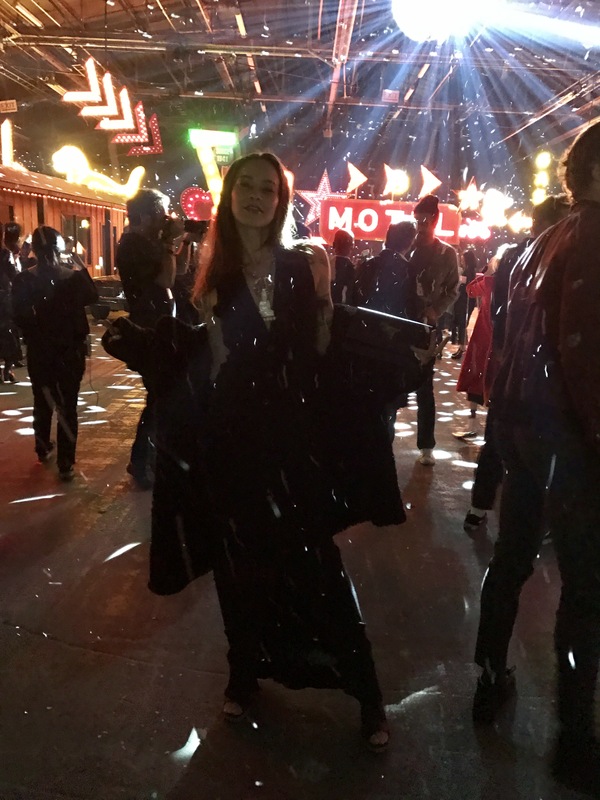 Behind them, motel signs and billboard fixtures start lighting up, a disco ball emerged, and if the room weren't electric enough, snow started falling! The attendees felt it. 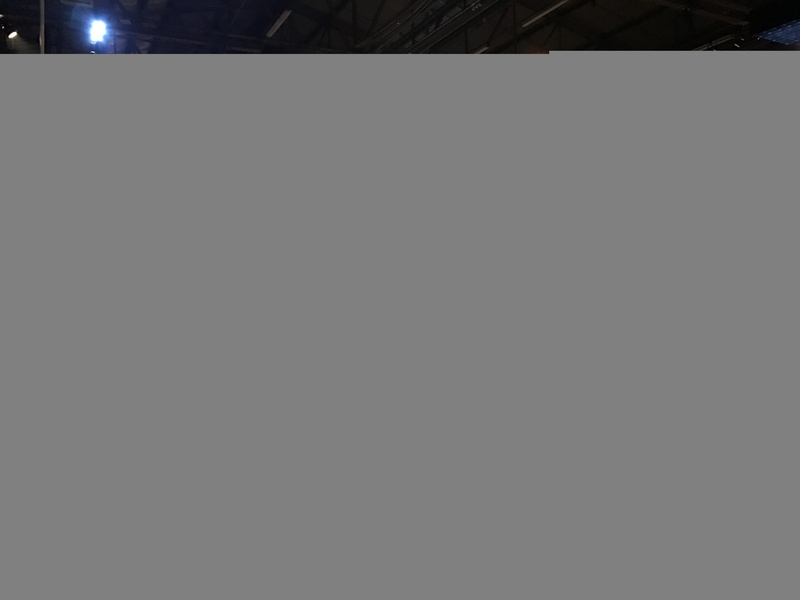 Models stepped back on the scene as the choir sang Alicia Keys, making their final walk unforgettable. 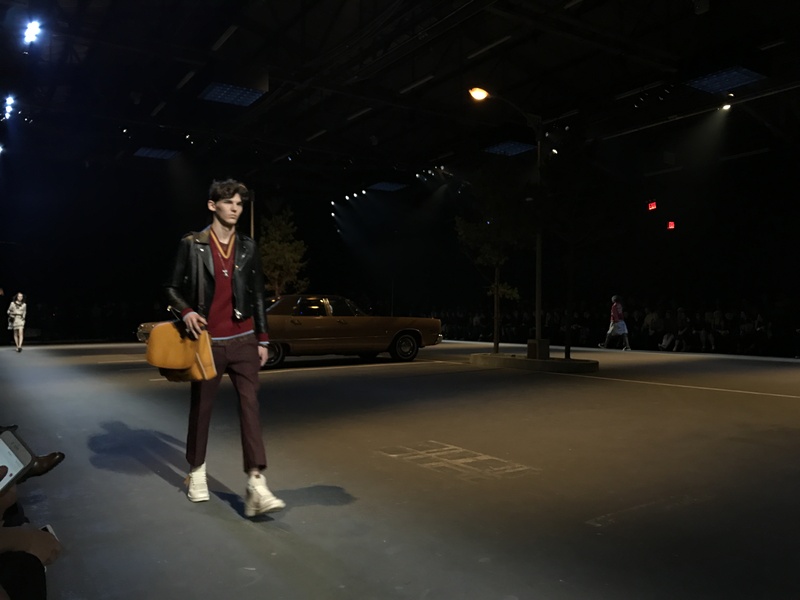 Not only did Executive Creative Director Stuart Vevers make this collection personal, relatable, and relevant, he gave us an experience that transcended notions of a traditional fashion show. A happy anniversary indeed. Well executed Coach, well executed. 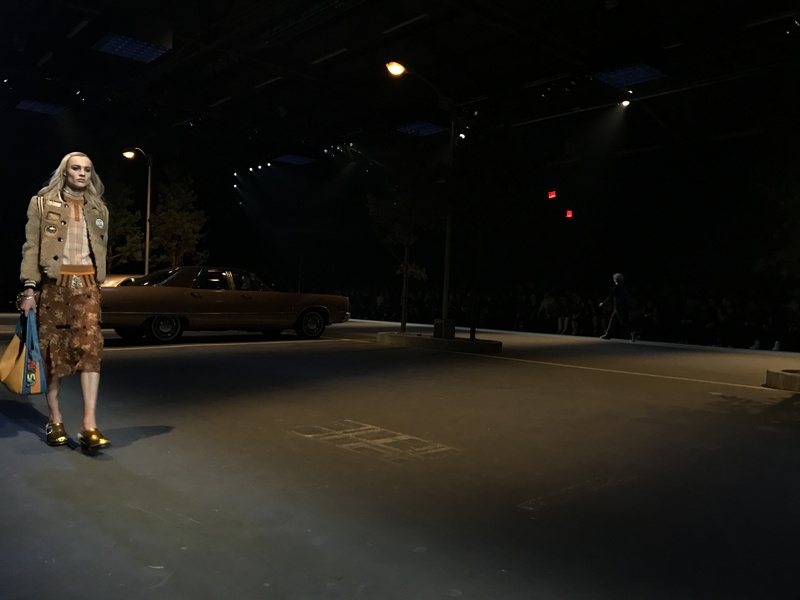 Cars and couture find common ground at Paris Fashion Week. Chin Menswear Intl's new collection is made by and for love.